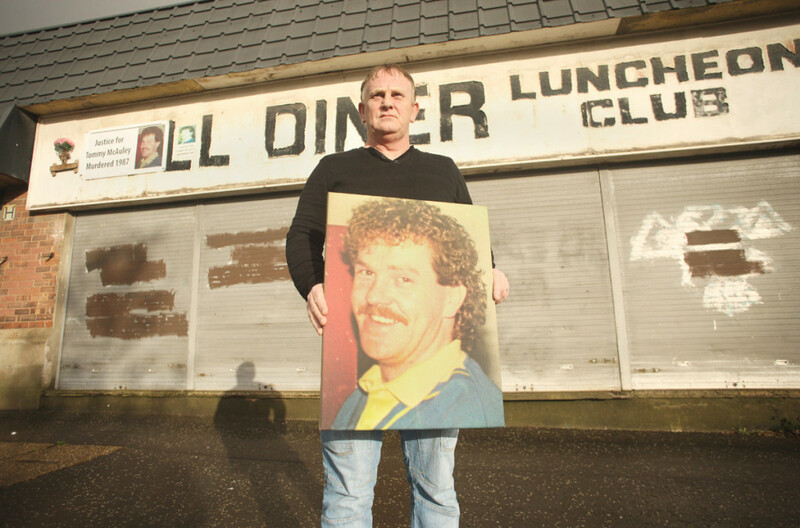 The brother of an Ardoyne man gunned down by the UDA 28 years ago has said that he feels like he has been given “a million pounds” after being told that the Police Ombudsman is to open an investigation into the murder in the New Year. It’s seven years since Paul McAuley first complained to the Ombudsman about how his brother’s murder was investigated by police. Thomas McAuley (32) was shot dead by a loyalist gunman outside the former Brookfield Mill Café on the Crumlin Road in 1987. No-one was ever convicted for the killing of the father-of-two despite a 12-year history linking the automatic pistol used in the killing to loyalist paramilitaries. Paul was devastated last year when it was announced that cuts to the Ombudsman’s budget would see historical investigations would be pushed back indefinitely. However, speaking on the 28th anniversary of his brother’s murder, Paul said that he has received a letter informing him that an investigation into his brother’s murder is to begin in January. “It’s brilliant news for me and it really feels like someone has given me a million pounds,” he said. “I will be cautious up until I see the investigation fully operational but to know that there is a possibility of justice is great news. A spokesperson for the Ombudsman confirmed that the investigation will begin next year subject to ongoing levels of funding.